Situated in the south of Spain, Andalucia is one of the most diverse regions in the country and home to the spectacular classical cities of Seville, Granada and Córdoba. Here, the complex flow of populations over the course of history gives the region an inimitable blend of culture. Traditional Spanish flamenco and baroque trappings meet architectural influences from the bygone empires of Rome and North Africa. A visit to the region is worth it for Granada’s magnificent Alhambra Palace alone. 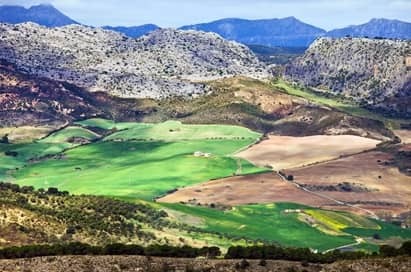 Our bespoke school trips to Andalucia are an unforgettable experience for young people learning the language, or for those looking to gain an insight into the unique history and sociology of the region. 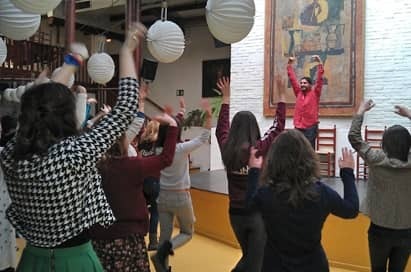 We offer a wide range of educational visits – from language workshops to flamenco lessons – for you to choose from to make your trip as memorable as possible. During an NST study tour to this colourful region, groups will have the opportunity to sample traditional Spanish lifestyle and culture, whilst gaining an understanding of local people and their customs and putting their language skills into practice. Learn more about our Spanish language trips to Andalucia here. 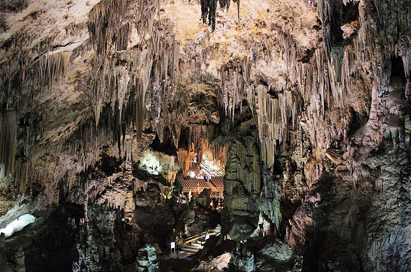 The magnificent Nerja Caves – Cuevas de Nerja – are a series of huge caverns stretching for almost five kilometres and home to the world’s largest stalagmite. Experience the heart-stopping and passionate art of Flamenco dancing, a true cultural activity from Spain’s musical heritage. Students will take part in speaking and listening sessions with native speakers, greatly enhancing their learning experience. We can provide an intensive Spanish Language course in a highly prestigious school in Benalmádena. Offering a fully tailored course, this school will ensure your students receive relevant content and delivery methods according to their study level. Students will be split in maximum groups of 15 with qualified teachers. 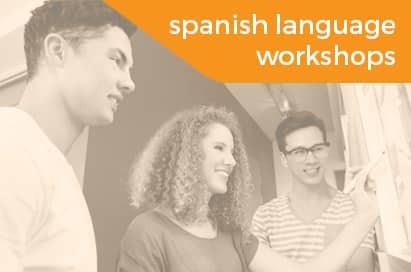 Students can taste a wide variety of traditional Spanish dishes at this fun and popular evening activity. 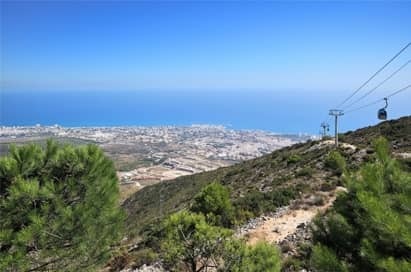 One of the best known attractions of the Costa del Sol, linking the main tourist sites with the 800m summit of the Calamorro Mountains. Students can see the spectacular views, which on a clear day include Gibraltar and the North African coast. Visit a typical Spanish working farm surrounded by orange and lemon groves. Your guide will explain the workings of the farm and students can enjoy tasting local products. Continue to Alora, a typical white village, and then to El Chorro Natural Park. The city is rich in both Islamic and Catholic architecture as well as traditional whitewashed houses and narrow streets. 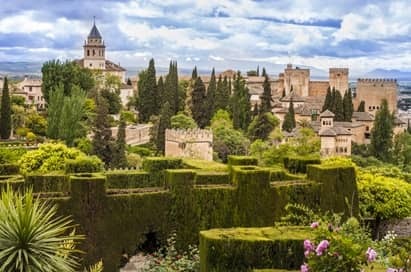 The highlight is undoubtedly the fabulous Alhambra Palace, described by some as ‘the most exciting, sensual and romantic of all European monuments’ - it’s a must for all groups. Groups can also visit the Science Museum, which has fascinating and interactive exhibits that all groups will enjoy. 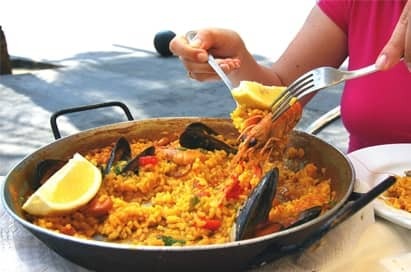 Learn how the traditional Spanish dish of Paella is made. Immerse yourself in the Spanish culture and see how this famous Spanish dish is created. Hundreds of groups travel with NST to Spain every year, and members of our team regularly visit Andalucia to really get to know the ins-and-outs of the area, from logistics and visits to our range of student-friendly accommodation. Your dedicated Tour Co-ordinator will use their knowledge of Andalucia to create an itinerary that’s tailor-made, perfectly timed and meets your exact school travel needs. They’ll be able to share their first-hand experience, suggest options you might not have considered and give you insight into the feedback other teachers have given us too. 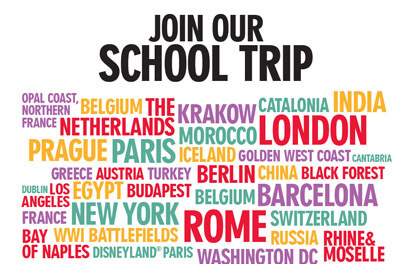 Planning your first school trip? You’ll receive your final itinerary a full 4-weeks before you travel too. For selected destinations, we’ll provide a trip launch web page using video footage and imagery. This web page is provided by a weblink and can be shared with pupils and parents in many ways. 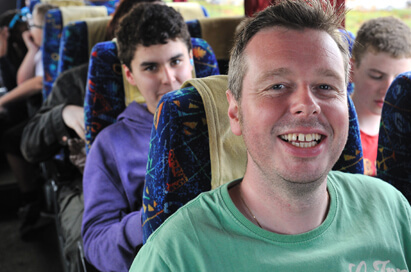 Risk assessment plays a vitally important part in the planning and organisation on any school tour. Our risk assessment guide aims to help you understand more about your obligations and how you can more effectively manage group safety on your next educational visit and provide you with risk assessments for your trip. 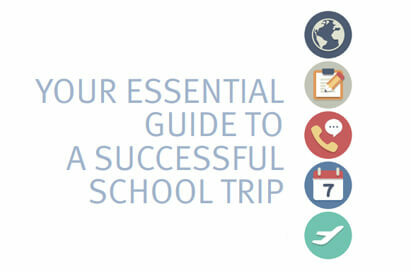 View our essential guide to a successful school trip here. 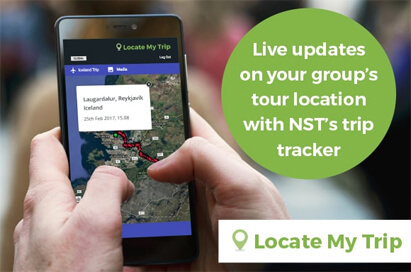 NST's new trip tracker, Locate My Trip, is the easy, convenient way for your school to follow your group's location whilst on tour. Our app has been specifically designed to provide reassurance to both parents and teachers. Watch our short Locate My Trip video here. 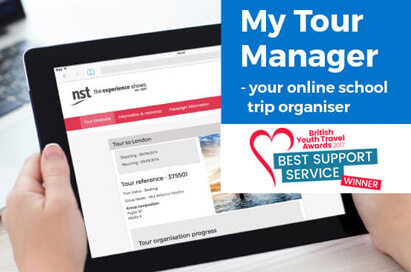 Save time and stay on track with your school trip admin with our online orgnaniser - designed to help busy teachers like you. With My Tour Manager, you'll be able to download FREE resources and access trip paperwork online and in one place. Your personalised checklist details what you need to do and by when, plus you'll receive fortnightly reminders too. What's more, you can take all your trip documents on the go whilst on your tour with our app, My Tour Manager-On-the-Go. Find out more and watch out short My Tour Manager video here. 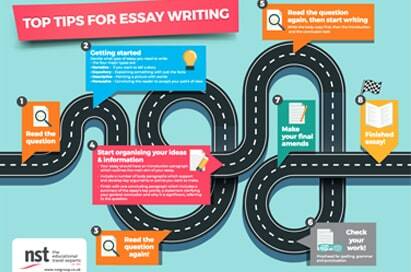 We've created a range of free resources and educational posters to brighten up your classroom! Take a look at our downloadable posters here. Your dedicated tour co-ordinator will use their unrivalled local knowledge and expertise to create a tailor-made, curriculum-linked itinerary to meet your group’s exact needs. With our online school trip organiser, travel app, FREE classroom posters and trip launch resources to support in-school promotion. Our risk assessment guidance will help you to manage group safety on your next educational trip. We offer a free inspection visit to your chosen destination to support your risk assessment planning. We’re committed to bringing you the best possible value trips to help make every penny count. Your group’s location can be followed with our trip tracking device - Locate My Trip - plus you’ll have 24/7 support from us whilst you’re away. With over 50 years’ experience, with NST you can rest assured that your group is in safe hands. Looking for protection on your next school trip? 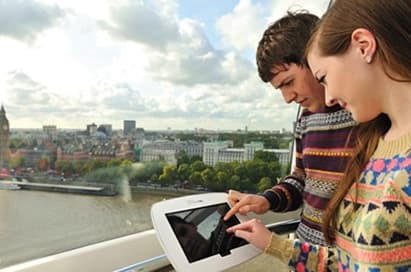 Booking with a school travel company is the best way for you to protect parents’ money and give yourself peace of mind. Don’t forget – if your school arranges transport, accommodation and other services directly, you’ll be liable under the Package Travel Regulations – meaning you’ll have all the responsibilities of a travel company, both legal and financial. The Department for Education advising schools to always to look for the LOtC Quality Badge when finding a school travel provider.